Shinco has launched three standard and three smart TVs, while it will soon unveil three 4K TVs. Videotex has launched its new Shinco brand in India and has released a range of TV under the new name. 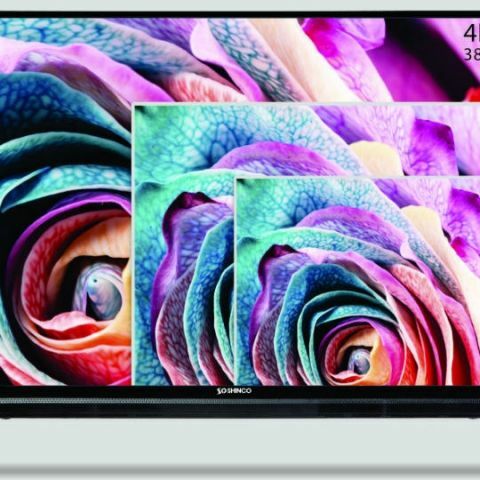 Shinco is rolling out three new non-smart TVs with SO2A, SO3A, and SO5A models in 24-inch, 32-inch and 40-inch models that are priced at Rs 6,990, Rs 9,990 and Rs 16,990 respectively. There are also the 32-inch SO32AS, 40-inch SO5AS and the 48-inch SO50AS smart LED TVs that are priced at Rs 12,990, Rs 19,990 and Rs 25,990 respectively. There are is also cashback and no-cost EMI options on the devices. The company will also make available its 4K Quantum Luminit Ultra HD SMART LED TVs, S43QHDR10, S50QHDR10, and S55QHDR10 exclusively via Amazon and Paytm. On Amazon, the 4K TVs will be available for purchase during the upcoming Great Indian Festival Sale. Videotex International Pvt. Ltd, an ODM of LED TVs for various Indian and International brands since 1984 has announced the nationwide launch of yet another television brandShinco under their umbrella. Having already established its market in the television industry with DAIWA, Videotex is further expanding its presence in the market with the launch of Shinco. Equipped with cutting-edge HRDP technology, the brand has a lot to offer with their wide range of both smart and non-smart TVs. These products will be available exclusively on online platforms- Amazon and Paytm Mall starting Rs 6990/-. with CASHBACK and NO COST EMI. Videotex has rolled out Shinco’s non-smart TV with SO2A, SO3A, and SO5A, in 60cm(24 inch Rs6990/-), 80cm(32 inch Rs9990/- ), and 102cm(40 inch Rs 16,990/-) screen respectively and a range of smart LED TVs with SO32AS, SO5AS and SO50AS in 32 (Rs 12,990), 40(19,990/-), and 48 inches(Rs 25,990/-) respectively (with CASHBACK and NO COST EMI). Each model is affordably priced and is set to take on budget TV players around the country. With an A+ Grade Panel display that offers an extremely impeccable image quality bringing real viewing experience with its widescreen dimensions, a 1 GB RAM and 8 GB internal storage, and an Android Platform, these smart TVs are a must-buy. Additionally, the smart TVs also comes with 2 HDMI, 2 USB, a mouse cursor on remote, and screen mirroring via Miracast, Airplay, E-share. Integrated with two 10W built-in powerful speakers with surround sound and amazing audio control, the TV produces a clear sound which enhances the experience of watching movies on a wider screen, Also Shinco will be unveiling its latest range of 4K Quantum Luminit Ultra HD SMART LED TVs S43QHDR10, S50QHDR10, and S55QHDR10 that will be available exclusively on AMAZON and PAYTM to the market/Customer on the upcoming AMAZON THE GREAT INDIAN SALE STARTING FROM 10th OCTOBER. In response to the rising demand for smart TVs in the country, Shinco to tap online market through Amazon and Paytm Mall through low pricing during the upcoming festive season with the vision of making available, affordable smart LED TVs to every household.